176 pages - 23.5cm x 18.5cm. Tarot can help you make the right decisions every day. You don't need previous experience or knowledge. This essential guide tells you everything you need to embark on a unique journey of discovery. 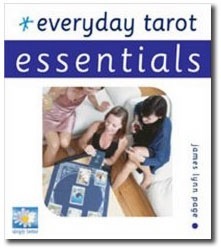 Straightforward but enlightening text shows you how to use the Tarot to help bring focus to your life. It can guide you towards reconciling the spiritual and the material. It can encourage you to see all the choices before you and to make the right one. 192 pages - 15cm x 13cm. 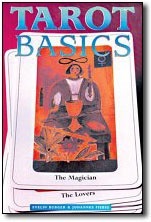 Written by the popular author of the Green Witchcraft series, the techniques presented in this book offer a unique way of working with the Tarot that incorporates the tools and tenets of the Witch's Craft. Develop a personal method of reading the cards while learning to use any Tarot deck for divination, pathworking, meditation, and spiritual reflection. 280 pages - 23cm x 15cm. What does your future hold? The first step is to find out what's in the cards for your career, relationships, and other important areas of your life by reading the Tarot. Choose from 15 different layouts for the three most widely used decks. Then refer to the detailed listings which include the meaning and a beautiful colour picture of each card. 128 pages - 23cm x 15cm. 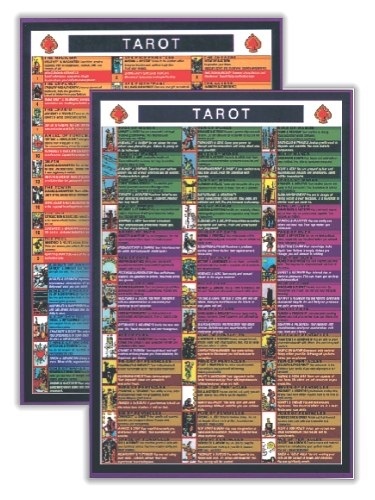 An excellent quick-reference tool for tarot readers of all levels. Gives a quick regular and reversed meaning to all 78 cards. Printed in colour front and back. 16cm x 24cm. Tarot Cards have 78 cards in a deck - including the Major and Minor Arcana and are usually used as part of a layout. 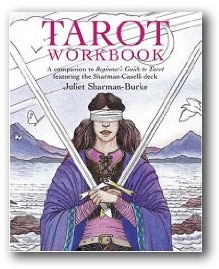 A selection of Tarot Books are available to help you learn. Guidance Cards may have any number of cards in the deck and may or may not use the tarot layouts, but will come with instructions.